The scariest horror movie villains haunt our nightmares for decades after the movies are released. And according to Google, they haunt our web searches, too. 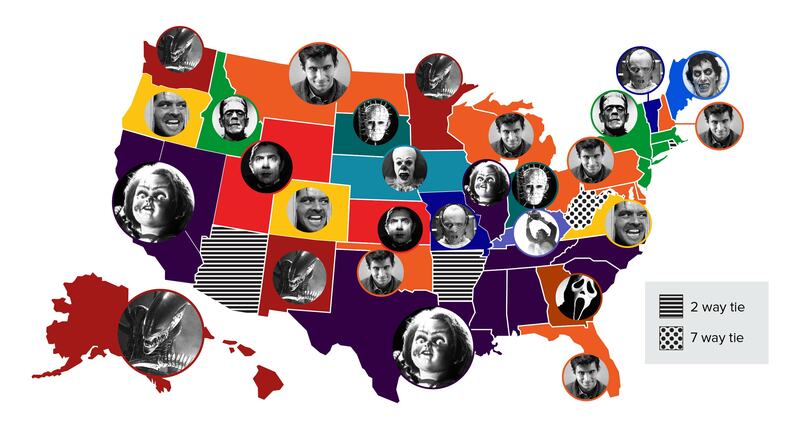 Can you guess which scary movie villain your state Googled the most this year? Read the full report below to find out. West Virginia absolutely loves its horror villains. There was a 7-way tie for the top-Googled spot! Norman Bates is the most-searched horror movie villain in the US and holds Midwestern audiences particularly captive. That’s a strong popularity streak for a villain whose story debuted over 50 years ago: the book Psycho by Robert Bloch was published in 1959, adapted into the iconic movie by Alfred Hitchcock in 1960, and adapted again into A&E’s Bates Motel in 2013. Illinois’ most popular villain is Chucky, perhaps because much of Child’s Play was filmed in Chicago. The Brewster Building, at Diversey Parkway and Pine Grove Avenue, was the site of Andy and Karen’s apartment and is pictured on the film’s poster. Since 1921, Count Dracula has been the villain or otherwise prominent character in at least 59 film and TV adaptations. Since 1951, Frankenstein’s Monster has appeared in at least 74 adaptations on TV alone. The costume of werewolf David Kessler from An American Werewolf in London may look dated now, but in 1981, its creator Rick Baker won the first-ever Academy Award for Best Makeup. The upcoming remake of has some big shoes to fill. 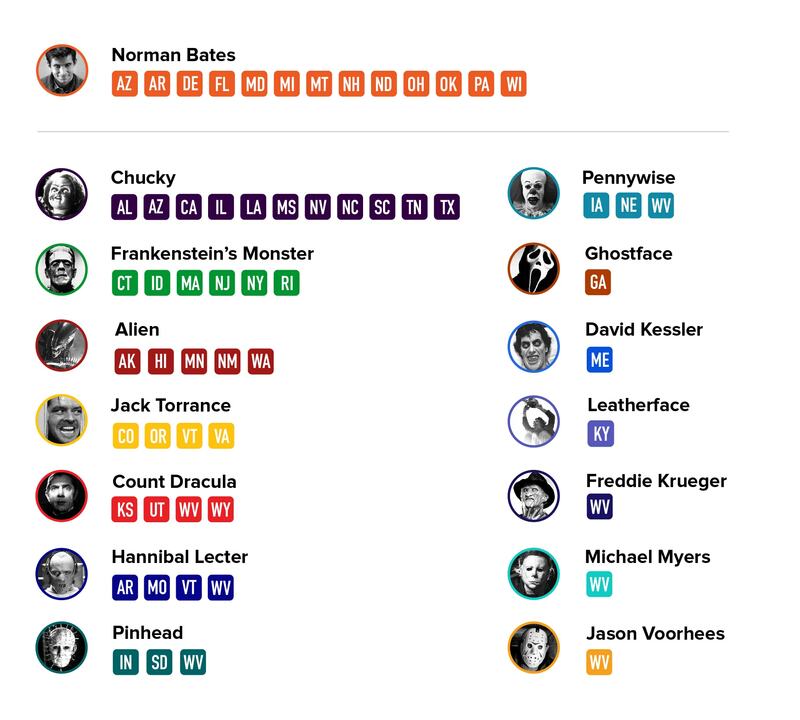 We selected 15 popular villains from classic, pre-2000 horror movies and used Google Trends to analyze their search volume in the last 12 months. We then reported the villain with the highest search volume in each state.